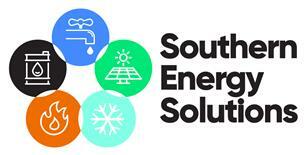 Southern Energy Solutions - Central Heating Engineer, Plumber based in Elva Business Centre, East Sussex. A lot of companies promise excellent service and we’re sure you’ve heard it all before. Our business has been built on referrals from satisfied customers, we have over 250 positive reviews on Checkatrade which speaks for itself! We are very familiar with our local community and all of our staff are from the area. All of our engineers are employed and have completed or are currently serving a full apprenticeship. We believe this is the best way to build our business and to ensure the engineers you have in your house complete the work to the highest standard possible, no matter the size of the job. When you book your job you will recieve a confirmation of the appointment via email with an arrival time, name of the engineer and reg number of the van he will be in so you know you are in the right hands. Once the engineer starts dirving to your property using our sat nav, the tracker will instantly send you a text message which will tell you his exact arrival time (even factoring in traffic on route! ), this is just another way that we keep you in the loop. Gone are the days of waiting for your plumber to turn up and not having a clue when that might be. Our aim is to break the sterotype which surrounds our industry. Making sure we are always honest with our customers and they are constantly kept up to date with progress. We are not the cheapest plumbing company on the market but we are certainly one of the best.